The report ‘Attracting and retaining women in oil and gas engineering – a survey examining the gender talent gap’, highlights the myriad of pathways women are taking to find careers in oil and gas, underscoring the excellent opportunities the sector has to cross-train from ancillary industries as well as non-traditional disciplines. In fact, 44% of respondents stated that they had worked in different industries such as building and construction and even law and retail, before moving into oil and gas. The report also shows that in order to attract and retain female workers, the industry needs to improve its ability to provide mentorship, recognise workers equally and highlight the benefits of studying STEM subjects in schools and universities. Although, 75% of women feel welcome working in the oil and gas industry, almost half believe they do not get the same recognition as their male colleagues. To help improve the issue 95% of women believe mentors are important for career advancement in the oil and gas industry yet 42% said they were neither a mentor nor a mentee. Many respondents said they are paid less, have fewer opportunities than their male counterparts and have to work harder than men to prove themselves. There are clear improvements to be made, if the oil and gas sector is to attract larger numbers of female engineers in the future. In line with many other sectors and roles, the implementation of formal mentoring programmes would be an important step in supporting the most talented women engineers. This would enable them to progress to senior positions in the oil and gas industry and, in doing so, become the role models of tomorrow. We need to step up promotion to make it clear that engineering offers just as much for women as it does for men. By encouraging girls into engineering careers we will not only be increasing diversity and inclusion – a business imperative – but enabling us to fill the substantial future job opportunities that have been predicted in this sector. Only 6% of the engineering workforce in the UK is female, 5.5% of engineering professionals are female and only 27% of engineering and science technicians are female. If you are interested in the STEM subjects at school why not think about getting some work experience or an internship to see what it’s like to work in the industry? Engineering careers are exciting and varied, it’s not all hard hats and oil rigs, although if that’s your goal then go for it. 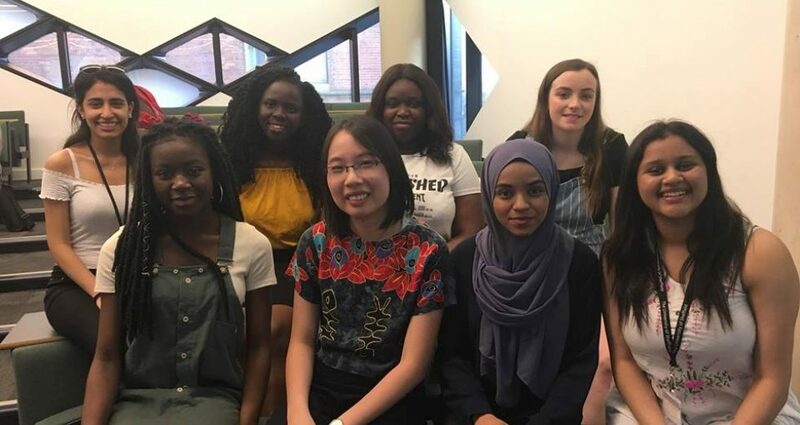 There are some inspiring new groups out there such as the STEMettes and UK young scientists fair The Big Bang, that are focused on showing young women, and young people in general, the rewarding opportunities available in engineering. The Tomorrow’s Engineers website provides a one stop shop for information on careers in engineering and is definitely worth a look. The industry is working to open up more offshore opportunities for women. If you want to transition from another career into engineering there are plenty of organisations that can help you such as the Society of Petroleum Engineers. The Government is also looking at ways to make the engineering industry more attractive to women and have set up the Women’s Network in the Department of Energy and Climate Change (DECC) and the POWERful Women Group to highlight the need for more women in energy. Next Post Happy engineers get dancing to Pharrell Williams’ hit!